Welcome to my 2017 year in review! Time for my annual (well, almost, I didn’t do it last year) review where I recap what went well, what didn’t go so well, some highlights from each month, as well as what plans and goals I have looking ahead to 2018. These annual reviews are meant to help me clarify to myself what is working or isn’t working so I can make adjustments as needed, as well as to encourage my readers to do something similar to help them gain clarity in some aspects of their lives. 2017 was a year of travel… We left domestic life in Medellin, Colombia to finish what we started: a massive road trip to the End of the World… Patagonia. In total we visited another 5 countries, exploring three in depth and for a long period of time, while the last two were at the end of the year, so it wasn’t quite so in depth and they wait to be more fully explored in 2018. We covered 10s of thousands of miles and saw some truly incredible places… It was probably my best ever year of travel, if I had to pick. I will talk about specifics of these travel highlights later on in this article. In terms of the site, I published 78 new articles over the course of the year, which is a new single year record, for sure. There were long periods of radio silence and then times where I published 3 articles a week for months on end. I started the year with basically no updates for two months, but on average it works out to one article every 5 days or so. The new material helped my blog immensely and I saw my traffic hold steady or growing over the course of the year. November was a record breaking month of traffic with 38,000 sessions (individual visits not counting pageviews), and then December exceeded it with more than 40,000 sessions. Over the year the site had more than 400,000 sessions and about 550,000 pageviews, which is pretty mind boggling when I think about it. I launched some new physical products like shirts and stickers in the D2D Shop and I was finally able to meet and exceed my monthly goal of $1,200 per month over the past few months! The biggest and most important change (which is the chief reason I was able to meet that income goal) was the addition of Mediavine display ads to my site, which helps me bring you all this information absolutely free, so that was a game changer for me as a blogger. At the beginning of the year I continued my musical journey, for a while, at least (more on that in a minute). I’ve always loved music and I really enjoy learning to play the guitar, which included private lessons in Medellin and self study. I was able to get my finances back on track after stumbling a bit, which was thanks to picking up a few new freelance writing clients and having more cash flow. Honestly, I don’t have a lot to report on in terms of personal growth successes. Some of my goals fell by the wayside and travel has basically consumed the year, sometimes to the detriment of other important things. 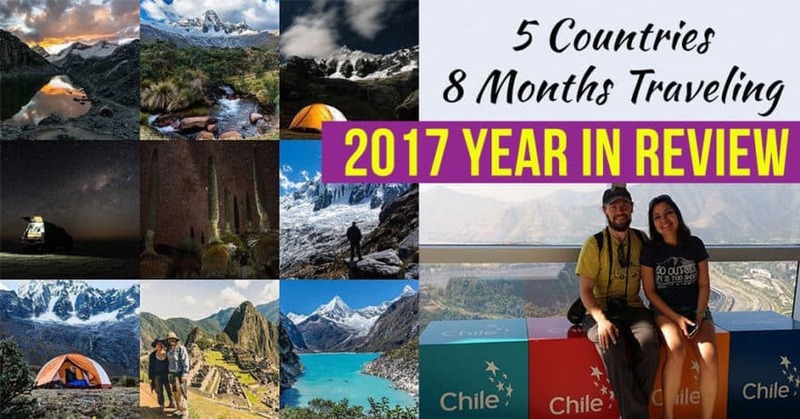 We hit quite a few rough spots this year while traveling, particularly as we were just starting this trip through South America. There were sicknesses, setbacks, things breaking, a debit card that broke in half in the middle of nowhere and plenty more bumps in the road. It felt like things kept piling up one on top of the other. Nothing was too terrible or insurmountable, obviously, but the life of a traveler isn’t always glamorous, to be honest. Thankfully, things smoothed out after the first few months and we’ve had great travels in the time since, for the most part. I had high hopes to launch my long-advertised second book before setting off on the grand adventure through South America. I thought I was much closer to launch than I actually was, and I wasn’t able to get it out the door before leaving. I thought maybe I’d be able to find the time at some point on this road trip, but I really need a few weeks uninterrupted, at minimum, to sit back down with it and work through pending changes, which has simply been impossible so far. I spent a lot of time on the book though, and don’t want it to be something that just sits on my hard drive forever. Like I said earlier, travel has subsided many other goals of mine, such as finishing the book, playing guitar, or even running. After more than a year of playing guitar I purchased an awesome travel guitar setup to bring along on this trip, but I didn’t have enough room to bring it along in the end (we traveled with a suitcase to return to the truck), so now the guitar sits in a closet in Medellin. Likewise, moving out of Medellin derailed my running habit that I’d cultivated over the prior year. It was something I actually began to enjoy, but it’s often not easy to work in while traveling because there is always something to do, it seems, whether it’s simply packing up our stuff and moving on, sightseeing, or being more diligent abut working on the blog. I have been doing simpler exercises that can be done wherever to try and maintain a basic level of fitness. While traveling I do sometimes miss the daily habits and routines which I personally find much harder to maintain. January and February was mostly hanging out, living the expat life in Medellin. 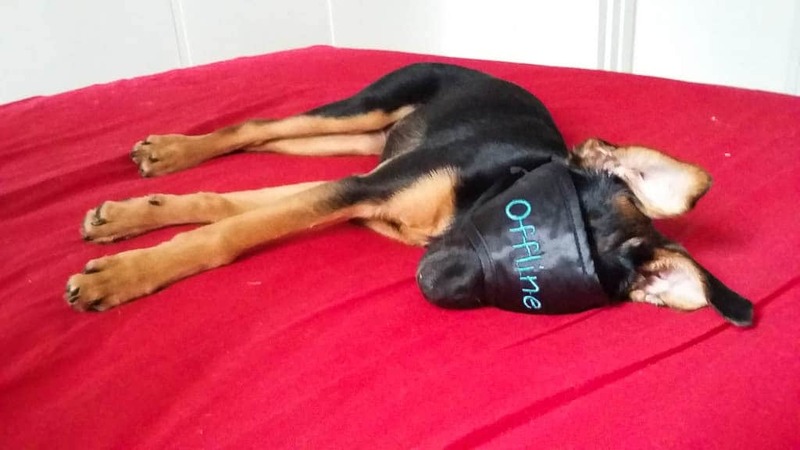 I was enjoying the routines mentioned above of running, playing guitar, foster homing needy animals, and working on the book in the local coffee shops and just enjoying the amenities of big city life with Andrea. This was the period where I basically ignored my blog entirely for the first time ever, not really motivated to work on it much. I didn’t even write up my regular monthly recaps and income reports during January or February. To be honest, I was also in a period of shock as I watched helplessly from afar as Donald Trump assumed the presidency and proceeded to turn my country, the news, and politics in general into some sort of terrible reality TV show. Before starting this site, I spent five years working in Washington D.C. and basically lived and breathed politics during that entire time, and while I saw the trends heading this direction years ago, it was surreal and sad to see it actually come to… this. While I may have left politics, it is still important to me. The highlight of the month was when my mom came down for a visit to Medellin, her second time there. 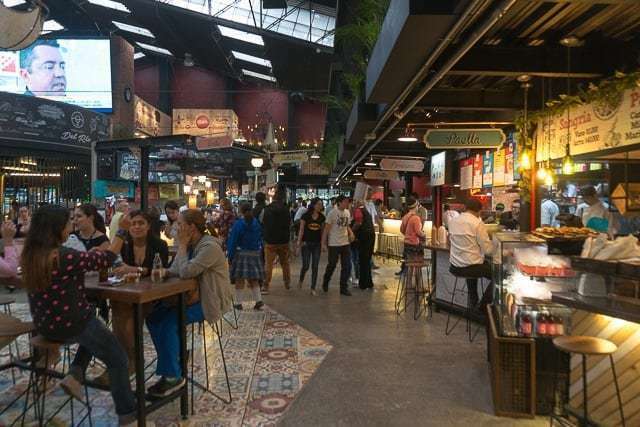 It’s always fun to have her, and we ran around much of the city so she could tick off some more of the many things to see and do in Medellin. 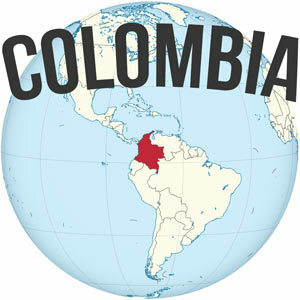 She’s become a sort of ambassador, if you will, to her friends back home… A living testament to the fact that Medellin and Colombia in general isn’t some insane place to travel to. Certainly not as insecure and crazy as many back home imagine it to be thanks to its reputation from the 90s. April was hectic. 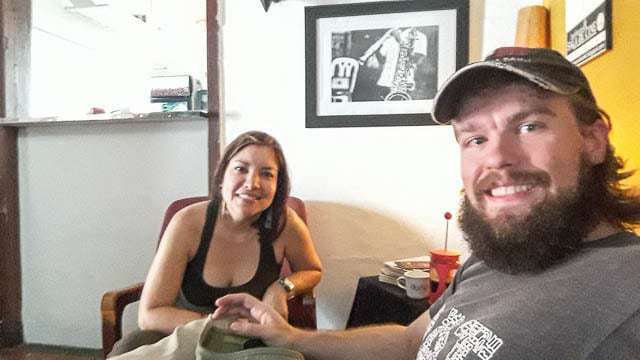 This was the month where we had to pack up, downsize, and move out of our apartment in Medellin in order to get ready for our big trip. Honestly, we didn’t own much but it’s always a huge headache to start traveling after you’ve been settled in for a little while. Highlights from the month include our time traveling to some new places in Colombia, like hiking through the Cocora Valley or visiting the white, colonial city of Popayan. We eventually made it back to my truck along the border in Ipiales, and found everything to be in working order after being in storage for 10 months or so. Ecuador was the focus for the last half of the month, and we got to explore the pleasant towns of Ibarra and Otavalo, and see some pretty incredible nature, like when we hiked around Laguna Cuicocha, or exploring the edge of the Amazon jungle, or taking in the sight of the big volcanoes like Cotopaxi and Cayambe. My buddy Jeff flew down at the beginning of the month so we could put in an attempt at climbing one or two of the BIG volcanoes. But things didn’t go quite as planned thanks to illnesses. 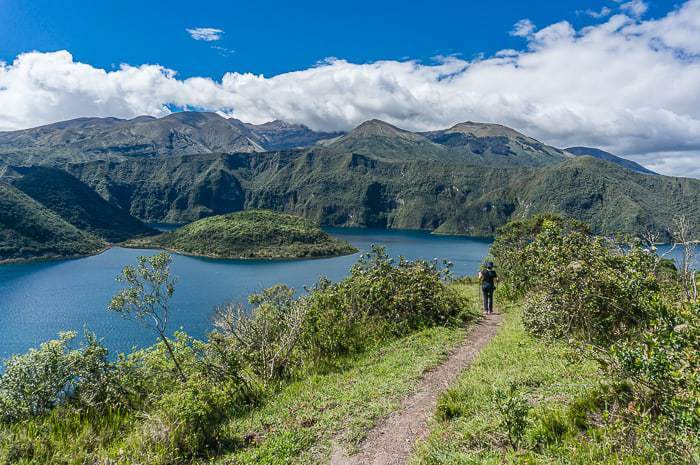 We managed to work in a great hike around the Quilotoa lake, and a few short day trips, but we weren’t nowhere near as acclimatized as we needed to be in order to make a summit attempt during his limited time in Ecuador. 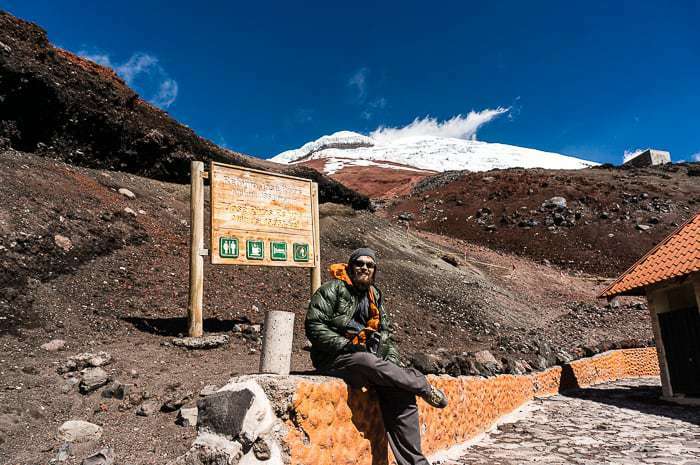 After a last ditch effort sleeping in the refuge at 15,744 feet on Chimborazo ended in headaches in the morning, we decided to bail on our plans and head to the ocean. 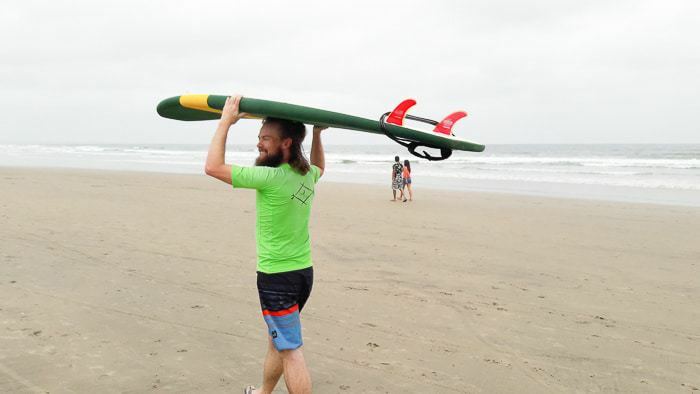 Instead we ended up surfing in Montanitas and Canoa, which was my first time on a surfboard, and it was an absolute blast! Highlights also included the town of Cuenca, which was the most pleasant city we visited in Ecuador, by far. 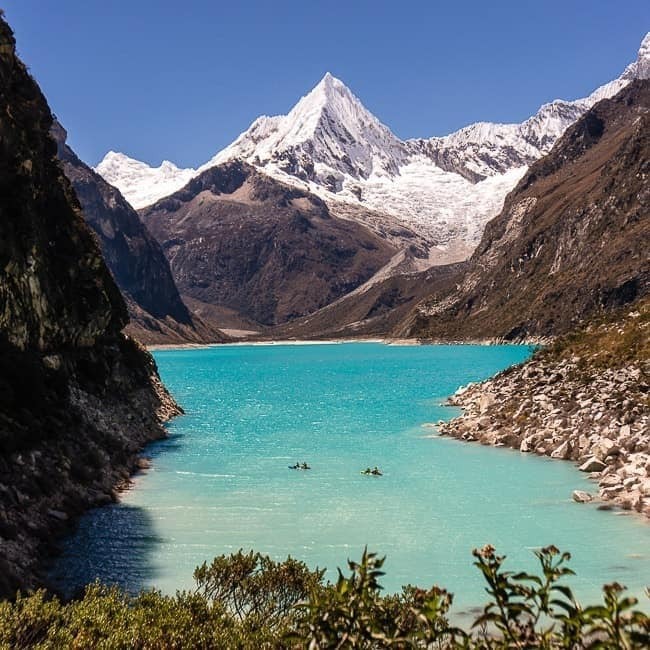 We found ourselves making our way across Peru, but the highlight was easily the Cordillera Blanca up near Huaraz. This was a place I’d long dreamed about and it did not disappoint. The towering mountains, the serene alpine lakes. It was a place that had me captivated for most of the month and I honestly didn’t want to leave. There was Laguna Paron, Laguna 69, and just driving around the various mountain passes was incredible. 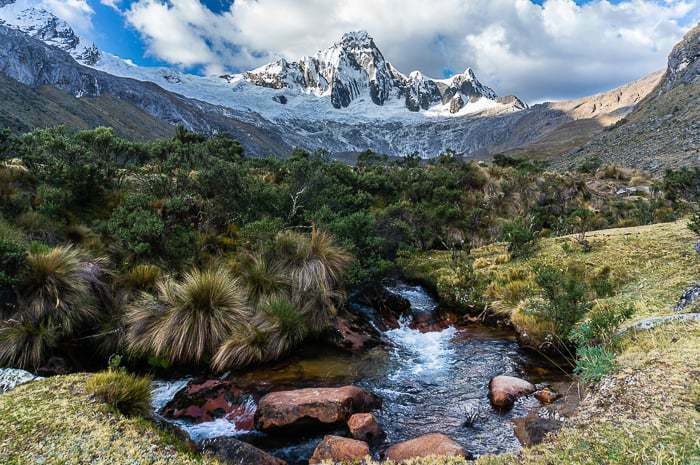 The best was saved for last though, when we set out on the incredible Santa Cruz Trek, which was what made me start dreaming about South America so many years ago when I sat at a desk. I couldn’t leave the Cordillera Blanca without putting in an attempt on a big Andean peak, particularly after the disappointment of Ecuador’s failed mountain adventures. 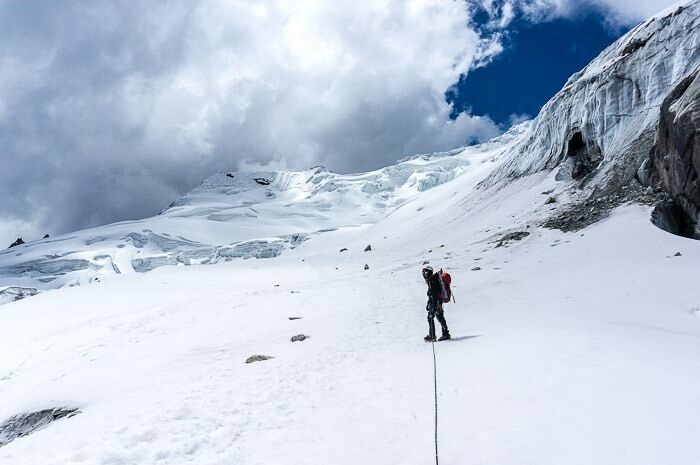 Thankfully things went better with acclimatization and I stood on top of the beautiful Yanapaccha, at nearly 18,000 feet which also required ice climbing at altitude. It marked my new high point as well. 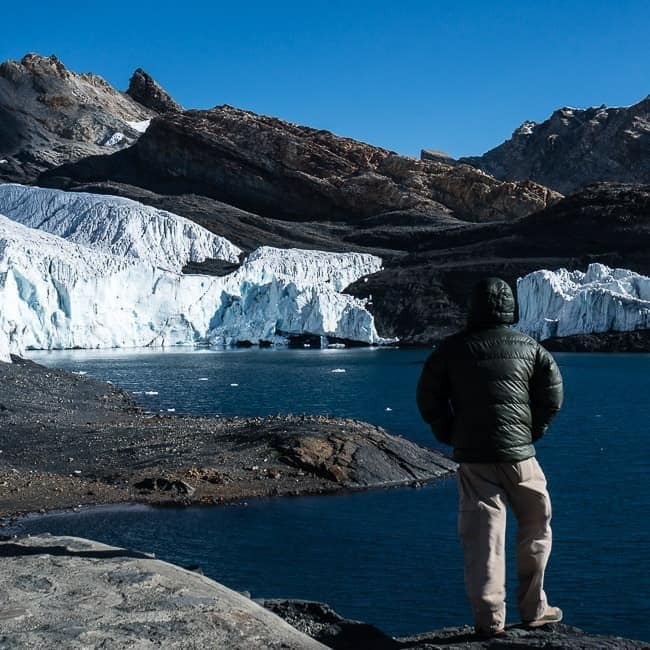 There more awesome adventures in the Cordillera Blanca, including the Pastoruri Glacier and the strange Puya Raimondii plants. But it was time to hit the road again after a long time in one region, so we headed to the south of Peru, into the desert around Pisco, Ica, and Paracas. Here we explored towering sand dunes, and visited the poor man’s Galapagos. 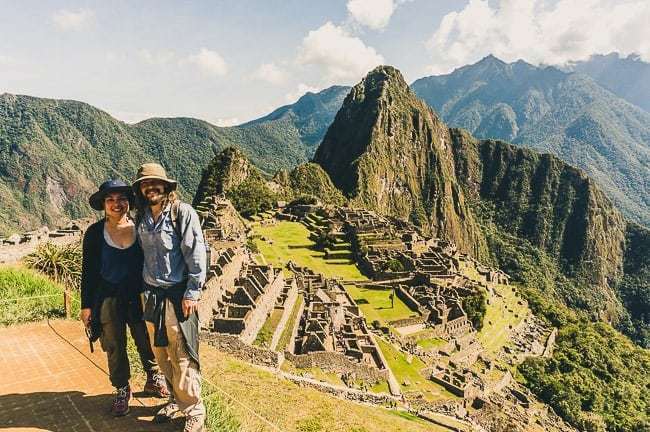 September saw us finally make it to Peru’s most famous location, Machu Picchu, nearly two months after entering Peru. There was no way we could travel to Peru without visiting Machu Picchu! We also enjoyed the town of Cusco quite a bit. Most of the cities we’d visited in Peru or Ecuador weren’t particularly interesting or appealing, but Cusco certainly is. 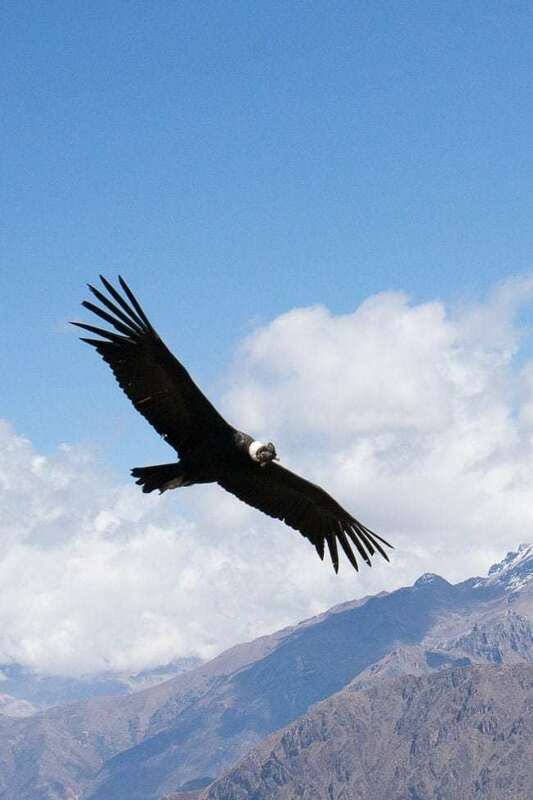 We headed down to Colca Canyon and saw the massive Andean condors flying over the canyon. This was a particularly memorable part of the month, as we both cherish seeing wildlife, and the condors were awesome to see up close like that. 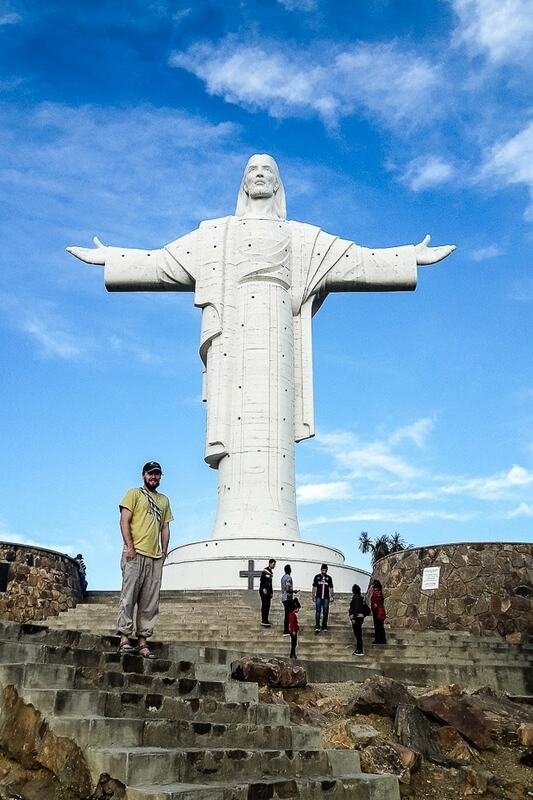 We finally wrapped up three months in Peru and entered into a new country… Bolivia! We weren’t really sure what to expect with Bolivia, to be honest, but it has been the best surprise of the trip by far. The cities of La Paz, Cochabamba, and especially Sucre, were places that we loved. On the whole these cities were much more enjoyable than those in Peru or Ecuador, and we enjoyed going out to eat, hitting up coffee shops, and getting some work done as well. It was this month in particular that I made some big changes with my site, namely getting set up with Mediavine and moving over to ConvertKit for my emails. I also turned 34 this month, with a very low-key celebration in Sucre. Honestly, go to Sucre, it’s awesome. This month was incredible… Another favorite. 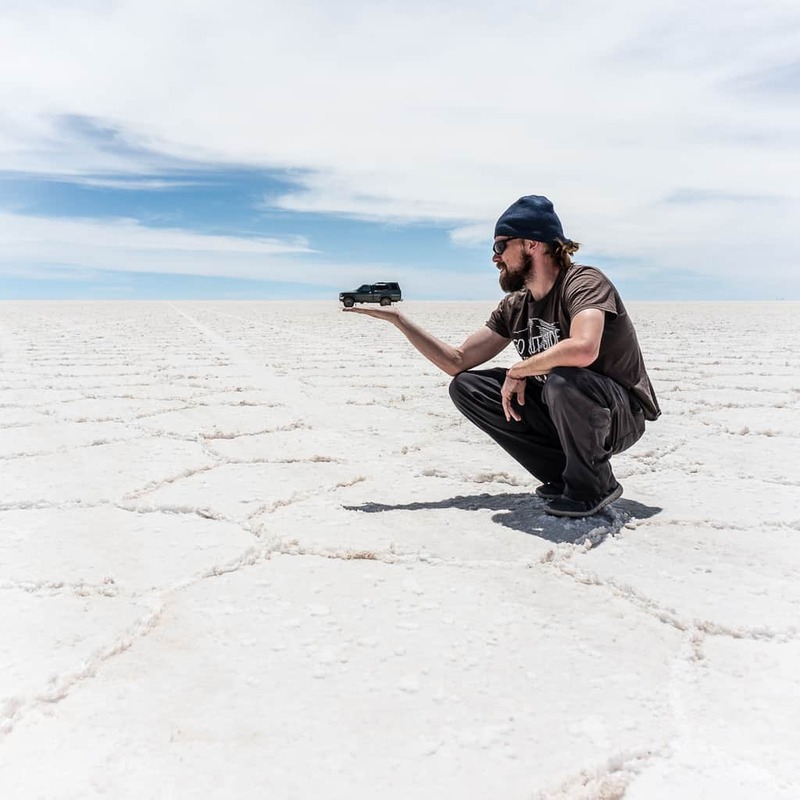 First we explored the famous Salar de Uyuni in Bolivia, which is a surreal and strange place that stretches as far as the eye can see. 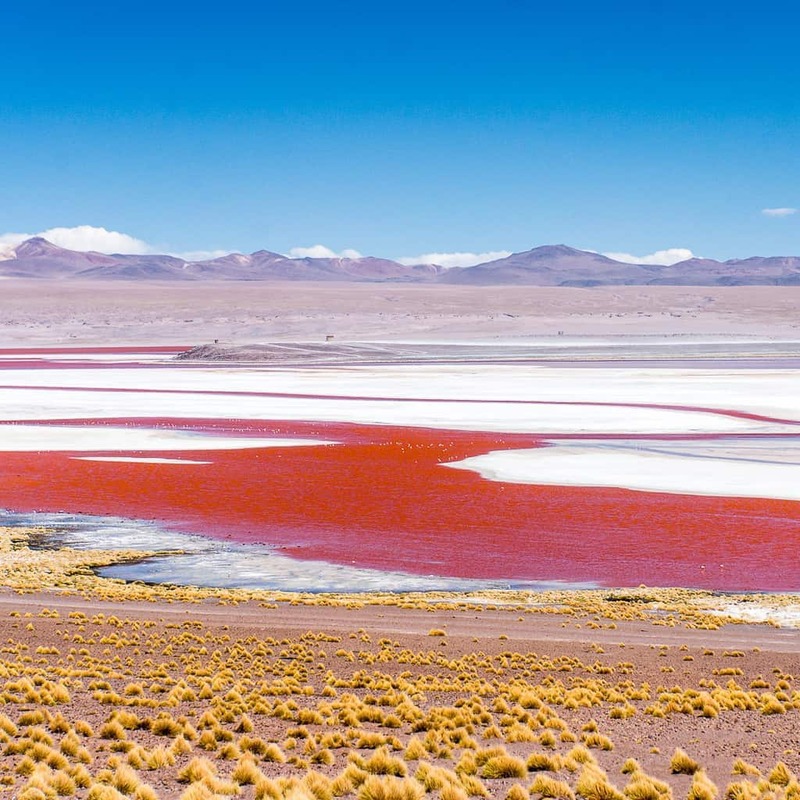 It is the world’s largest salt flat, sitting at nearly 12,000 feet above sea level. It was great to have our own wheels and explore it as we wished, camping where we wanted, and what have you. We also got the chance to stay at a luxurious hotel made of salt, which was memorable. Following that we drove across the Lagunas Route, aka Southwest Circuit, which is a remote and inhospitable corner of Bolivia. There are no services, so we had to haul a few extra tanks of gasoline just to cover the distance. 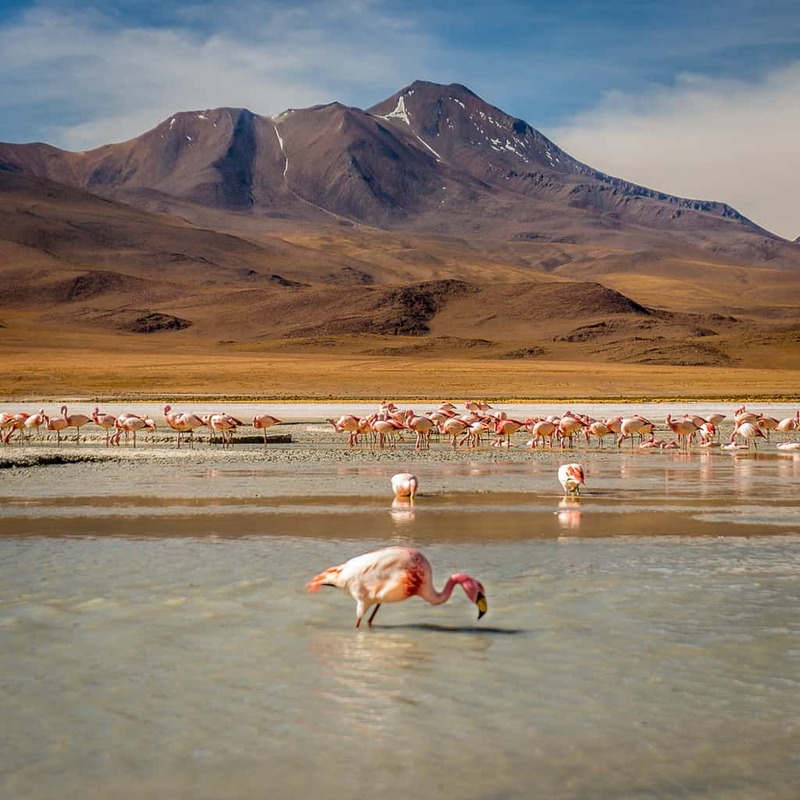 But it was truly an otherworldly place where flamingos hung out in multi-colored lakes at 14,000 feet behind snow-capped peaks, and every corner we turned had new surprises. Then at the end of the month we topped it off with two new countries: Chile and Argentina. Chile was very brief but we explored the beautiful geysers and lunar landscape near San Pedro de Atacama, and then jetted over to Argentina which was primarily covering lots of big driving days along the scenic route 40, but we had some pleasant stops in Salta, Argentina and Mendoza, Argentina. 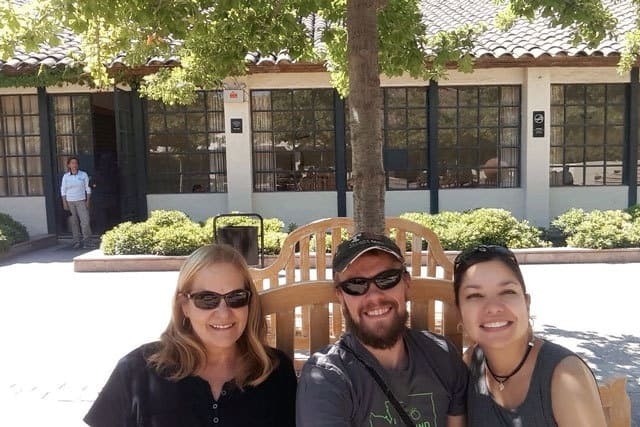 My mom flew down to meet up with us in Santiago, Chile — her second trip to South America this year — as we informally celebrated the Holidays, even if the dates didn’t coincide with the actual holidays. It was nice to hang out in Santiago — a surprisingly cool city — and to visit the beautiful coast at Vina del Mar. 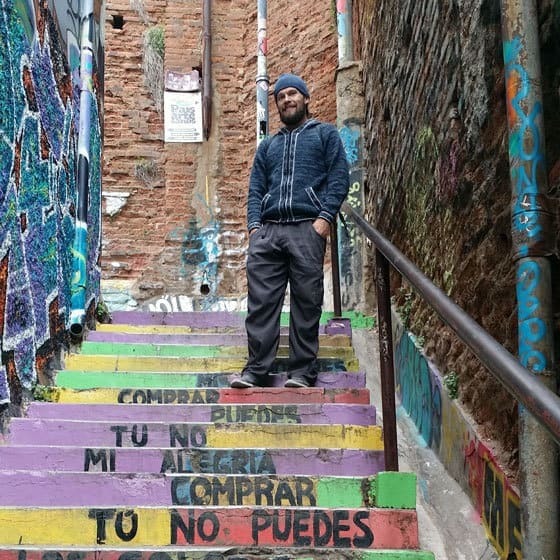 Her trip included visits to the Concha y Toro vineyard, and exploring the gritty but cool port city of Valparaiso. When she took off we headed a bit further south, ultimately settling down for a little while in Concepcion, Chile for Christmas and New Year. It’s summer down here, so we’ve been enjoying the long summer days where it stays light until after 9pm, and being able to pick up fresh cherries. It reminds me a bit of Washington State in the summer, really. It’s always tough to choose favorites, because almost everywhere was cool at the moment of exploring it, so these are the places that really stand out in my mind as being particularly incredible. The types of places that I would recommend my readers to visit or the types of places that I would like to return to. Yeah, Peru wins for food in South America. 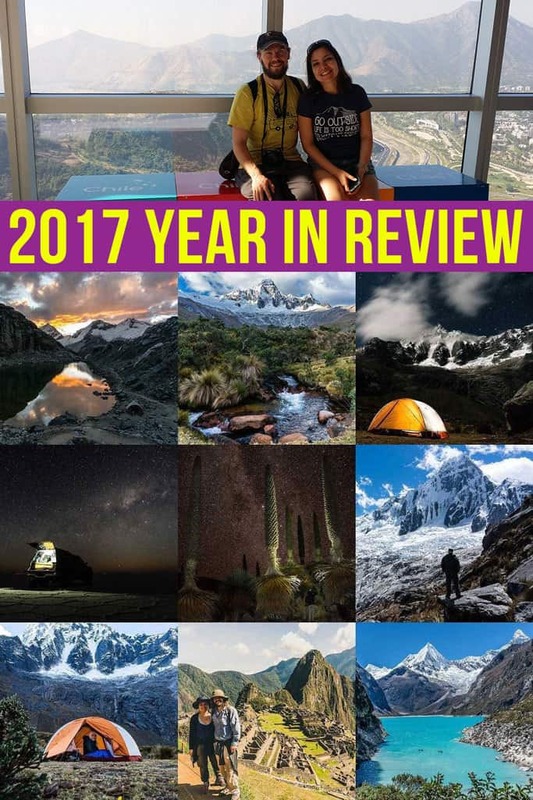 2017 was a year to remember, for sure! And it will honestly be pretty tough for 2018 to top it, at least in the travel department. In the immediate future though we’ve still got a few months of travel ahead of us as we continue to drive south, arriving to what may be the highlight of the trip: Patagonia. It’s a place that we’ve both dreamed about for a long time, so let’s hope it lives up to the expectations. Our plans are still flexible and up in the air, but we will eventually head back north toward Buenos Aires or Santiago as we address what to do with the truck. I imagine that will be around April, marking one year driving the Pan American Highway across Latin America. After that, we don’t have any specific plans, so things are a bit up in the air. I’m doubling my goal income from the blog, taking it from $1,200 per month to $2,400 per month. 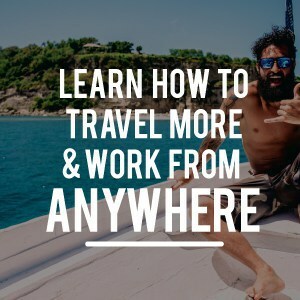 I’ve been skating by on the minimum I need to sustain my travels, so it would be ideal to create more of a buffer that doesn’t depend so much on my freelance income. 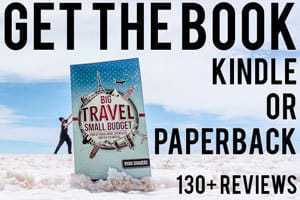 Doubling my sessions / pageviews, which means 800,000 sessions and 1,000,000 pageviews, by continuing to regularly produce great new travel content to attract more readers and eyeballs. This traffic goal may be a bit of a stretch, but having something to push toward is important. 1 million page views translates to 84 thousand per month, which would be very tough to achieve at the beginning of the year, meaning I will need to make up for it during the second half of the year, since I’m currently at about 50,000 pageviews per month. I’m aiming for at least 2 articles per week, or 100 over the course of the year to help me achieve this goal. 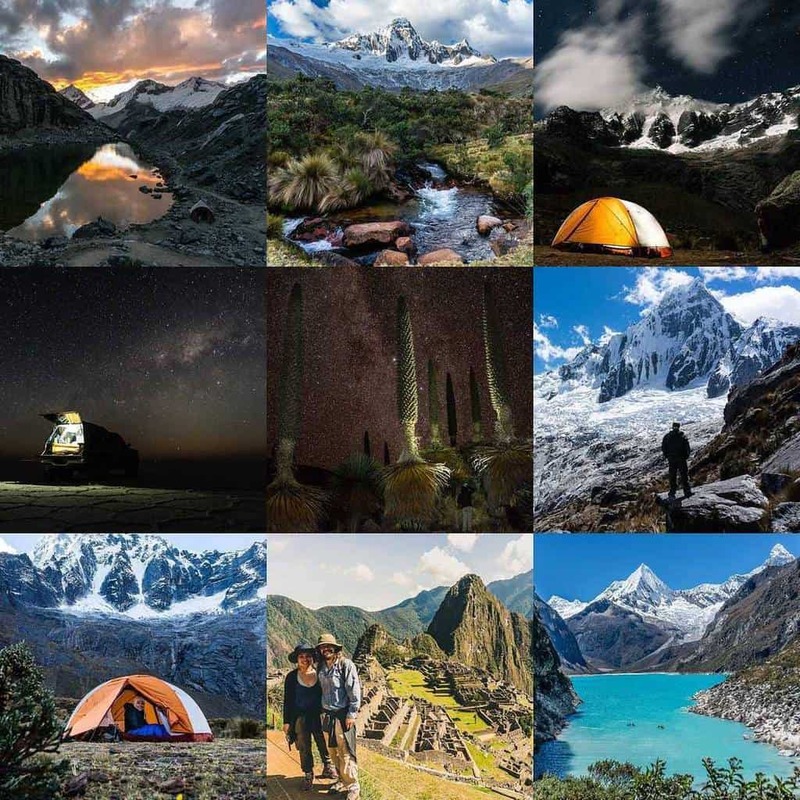 Launching my second book by the end of the year, for sure, which will become my main priority after we wrap up this South America trip. Attend at least one conference relating to online business or travel blogging. Because connections and knowledge are crucial to growing as a blogger (and a person) and I haven’t been to a conference since 2013. Run a half marathon, which means rekindling my running habit more regularly and getting back into running shape. Resume guitar playing — yes this is a terrible, almost un-measurable goal, but that’s where I’m at with it right now. After an ambitious year full of travel, I know that my sights will be set considerably lower next year, but travel is important to me, so I want to set the goal of traveling to two new countries next year, at least. So there you have it, that was my year in a nutshell and what I’ve got planned more or less for the next year. Admittedly, my non-business plans and goals for next year are kind of weak, but it’s tough to try and think about what’s next when you’re in the midst of a really big adventure. I’m hoping I will find more clarity about that in the months ahead. I would encourage you all to perform your own year in review, based on whatever metrics make sense to you. 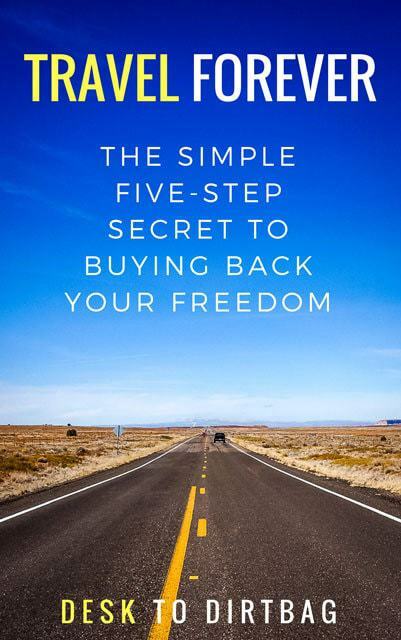 If you need some guidance in how to do-so, please check out Chris Guillebeau’s article on the subject here. If you enjoyed my 2017 Year in Review, please take a moment to share it on Facebook, Pinterest, or Twitter, thanks! Mediavine is so proud to have been a part of your site in 2017. Here’s to an even better 2018! Thanks! I don’t doubt that 2018 will be even better! Fantastic review. What a year you’ve had! As we go through the day to day of life, it’s great to reflect back on the moments that are most memorable and see just how far we’ve come. Thanks for taking the time to share and best of luck in 2018! I know you’ll do great things. Thanks Ben! Yeah, totally agree about the importance of reflection and seeing how far we’ve come. While I’ve done annual reviews before, I failed to last year, and it was actually seeing your annual review recently that prompted me to do my own again, so thanks for that. Likewise, you had a pretty epic journey! Someday I’d love to do a long-distance bicycle journey, though probably through the USA (seems a bit easier than Central Asia, hah).